… for providing refreshments and sponsoring the FWRW Board of Directors meeting in January! 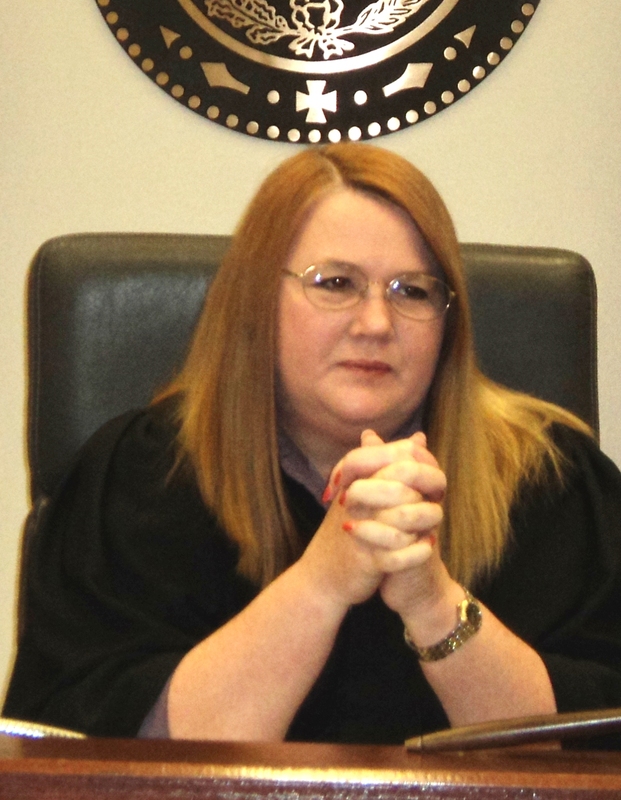 Judge Sturns serves the citizens of Tarrant County as Judge of 213th District Court. Washington, D.C. – Project 21 spokesman Stacy Swimp is criticizing Illinois lawmakers for requiring people who purchase caustic substances such as drain cleaner to present government-issued ID after previously rejecting a similar ID requirement for polling places and allowing newly-proposed voter ID legislation to languish. As a result of the Census of 2010, Texas gained four new congressional districts. In January of 2011, the 82nd Texas Legislature went to work drawing up new congressional district boundaries to accommodate the four additional seats. After 140 days had passed, the regular session had ended, and the Legislature still hadn’t accomplished the task, a Special Session was called and Governor Perry added redistricting to the “to-do” list. About a month later, the Texas Legislature approved a new congressional map, as well as maps for state legislative districts. Under the Congressional map, the Republican party would have most likely gained three of the four new Congressional seats. Unfortunately, pursuant to the Voting Rights Act, Texas doesn’t enjoy the unfettered power to draw its own Congressional maps that 35 other states in the Union enjoy. (This provision of the Voting Rights Act applies to only 16 states, and some only partially.) Instead, the Voting Rights Act requires federal oversight – or “preclearance” – of our redistricting decisions. In the preclearance process, Texas must seek approval of its boundaries in one of two ways: (A) from the U.S. Justice Department, or (B) from a three-judge panel of federal judges in the District of Columbia. Because Texas leadership believed that the Justice Department, under the current administration, would likely be hostile to Texas, Texas chose Option B. As anticipated, the Justice Department was hostile to Texas’ new maps, lodging an objection with the D.C. court, arguing that the map didn’t create enough minority districts. This objection turned the preclearance process into a full-fledged lawsuit, with all the inherent delays that litigation brings. Knowing that the lawsuit could potentially delay the scheduled 2012 primaries in Texas, the D.C. court then asked a three-judge panel in San Antonio to draw an interim map to be used for the 2012 election. The map which was drawn by the San Antonio panel apportioned the four new seats equally between Republicans and Democrats – two seats for each. Attorney General Greg Abbott then appealed the new map to the U.S. Supreme Court, which scheduled argument in the case for January 9. Because of the delay that this appeal to the Supreme Court would cause, the Supreme Court went ahead and moved the Texas primary election from March 6 to April 3. The one-month delay was of little help, however, because without a final map in place, candidates couldn’t make decisions about which seat, if any, they would seek. The crux of the problem is the stubborn fact that the primary can’t occur until candidates know which map will be used and have an opportunity to make informed decisions based on it. And few were surprised when, at the January 9 hearing, the U.S. Supreme Court acknowledged that the April 3 would likely need to be moved again. However, to the alarm of many Republicans, possible dates as late as July and August for the Texas primaries were tossed about, which if embraced by the high court would mean primary run-off elections in September or October (to be followed by a November general election). In the meantime, the D.C. judges scheduled a final hearing in the preclearance lawsuit to begin on January 17 and be possibly concluded by January 26. Some expect the Supreme Court to wait for the preclearance ruling from the D.C. panel before announcing its decision in the San Antonio panel map appeal. If such a delay occurs, then the April 3 primary date will most certainly have to be moved to allow time for the reopening of a filing period and preparation for the election to occur within the time-frames mandated by state and federal election laws. What appears clear, though, is that the D.C. panel is dissatisfied with the Legislatively-drawn maps; otherwise, it wouldn’t have scheduled a trial in the lawsuit. Likewise, it appears clear that the U.S. Supreme Court is dissatisfied with the judicially-drawn maps; otherwise, it wouldn’t have allowed the appeal to be heard. As there is no time for the Legislature to redraw the maps, it also seems clear that whatever map Texas ends up with in the 2012 election will be judicially drawn under the direction of the U.S. Supreme Court. In the meantime, the Republican Party of Texas, who under the stewardship of Steve Munisteri, is finally out of debt, has been preparing for a State Convention which is scheduled to convene in Fort Worth on June 7. A summer primary would most certainly result in cancellation of that Convention, with associated cancellation penalties in addition to the forfeiture of monies already expended (more than half a million dollars to date). A summer primary would also result in a more expensive primary, since many polling locations in schools would not be available for free. Finding election workers during the summer months, as well as voter apathy, poses additional problems. On January 12, Chairman Munisteri sent a letter to the Supreme Court on behalf of the Republican Party of Texas, pointing out the “legal, logistical and practical” problems that would “wreak havoc with the state’s electoral process and present insurmountable difficulties” if the primary election is moved beyond April 2012. Whether the court will take these factors into consideration in rendering its decision is unknown. Tags:2012, 213th District Court, Barack Obama, Fort Worth Republican Women, Judge Bonnie Sudderth, Judge Louis Sturns, redistricting, Tarrant County, Texas primary election, voter I.D.